Learning about grief helps individuals navigate, understand, and have compassion for others experiencing grief. 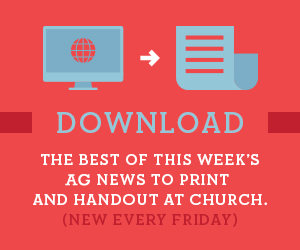 AG chaplain engages grieving elderly, helping them to find a new purpose for living. Teresa Ruelas, forced from the U.S. as a child during the Great Depression, returned as a teenager to lead a life that leaves a ministry legacy.